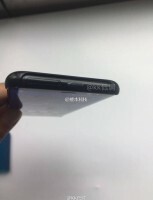 The Samsung event at MWC is already gone, and a company exec teased us the new Galaxy flagship, but Chinese leaks are once again one step ahead. A video appeared on YouTube, showing powered on Galaxy S8 and Galaxy S8+ right next to it. 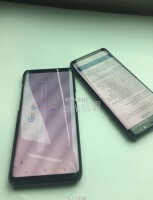 The video clearly shows two powered devices, looking a lot like what we’ve already seen from numerous leaks, renders, rumors and official teasers. 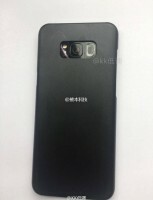 There is a dual-curved screen and no physical button on the front. When the device is turned around, we see the fingerprint on the right side of the camera setup. 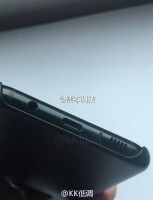 On the bottom is located a 3.5-mm audio jack, a USB-C and a speaker. When the person filming the video powers on the bigger device with enabled Always-On Display, he presses the power button on the right side, confirming that you’ll continue powering your Galaxy smartphone with a thumb. The button on the other side, right below the volume rocker, has to be a Bixby-dedicated on, though there’s no action with it in the video. This phone looks like that skinny, 6 foot tall girl who hit puberty early in fifth grade. Have fun trying to pinch-hold this awkward device.